﻿ The best hair oils for all hair porosity types. Which one will turn out to be the best? Hair oils have become fairly popular natural care products. Indeed, women all around the world have been using this kind of natural cosmetic more and more willingly. What does make this product so appealing? To be able to answer this question, we have to take a closer look at oil's properties and its manner of working. First of all, hair oils can be applied directly on hair or used as an enriching substance added to cosmetics that we use for washing our hair. Certainly, it will work miracles in both cases. The popularity of this natural product has expanded on a such a considerable scale, that even beauty parlours has started to offer hair beautifying treatments (with the use of oils obviously). One kind of such a hair-condition-improving therapy is known as Oil Hair Treatment. The procedure depends on slathering hair with a mixture of oils that are selected and combined with regard to particular hair type. Hair Oil Treatment should be conducted twice a week, three hours before hair washing. It is worth remembering to use a product that does not contain silicones. Such cosmetics are known for making hair flat and clogging hair pores. What is more, it is also advisable to apply delicate hair mask and let hair be air-dried after the treatment. If somebody is rather impatient then it is allowed to blow-dry hair yet using cool air only. In general, hair oil smooths strands as well as make it glossy and soft to the touch. What is more, this kind of natural product has moisturizing, nourishing, and protective features. Furthermore, it makes hair more resistant to damages and falling out as ends stop splitting. Additionally, hair oil is able to create a kind of a protective barrier around the strands. This 'shield' is responsible for blocking way of all harmful factors deriving from external environment to get inside hair structures. Basically, such a barrier is also good at safeguarding hair against harmful working of the solar radiation. In your hands we place the ranking of the best hair oils. This fact-sheet's aim is to present the products with reference to several features such as: scent, colour, manner of obtaining the oil, manner of application, properties. The ranking was designed for both the women who use oils regularly, as well as for those who are just thinking about starting such a treatment. The participants of the test were the women who are passionate about beauty. Each of them received a cosmetic that had the following properties: strengthening, nourishing, moisturizing, anti-hair loss, anti-hair breakage, and for shine restoring. Read the ranking posted below and see for yourself which hair oil deserves your appreciation. Argan oil is the most popular natural hair care product. It is known and highly valued by many women due to its extraordinary features. The truth is, this product can be used not only to nourish and protect hair. In fact, it also works miracles for face and body skin. It is fairly important to realize that argan oil should be stored in a cool and dark place, most preferably in a dark-glassed bottle. In short, it is recommended for every skin and hair type. 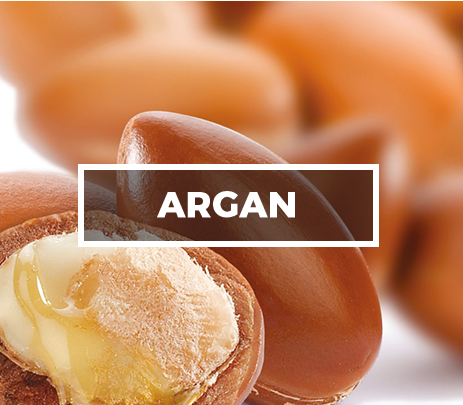 Argan oil is made of nuts of Argania spinosa, a tree that grows in Morocco. The nuts are harvested and cold pressed by women only. 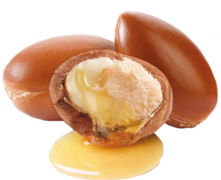 What is also crucial, argan oil is not refined, so in other words, it does not undergo any purification processes. For that very reason, it preserves all its characteristic features and nourishing substances. Moreover, argan oil has watery-and-oil consistency, is easy to apply on body skin and is fast to be absorbed. This oil is good at coating dry and super dry hair equally. Argain oil has fairly characteristic flavour. Because of its yellow and brown colouring, it is called 'Liquid Gold of Morocco'. First of all, argan oil shields hair from solar radiation, wind, and low temperatures. Secondly, it accelerates regeneration of hair damaged due to dyeing, heat styling, and other treatments done at a hairdresser's. Thirdly, the oil strengthens weak, breakable, and dry hair as it helps with eliminating dandruff. Fourthly, hair turns into being way more manageable when treated with argan oil. Finally, all strands are moisturized, smoothed, and glossy again. 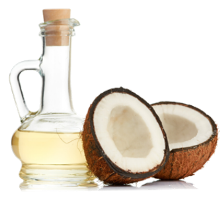 Coconut oil is yet another very popular product applied for hair care. It can be used for cooking as well as for body and face skin treatments. Before choosing this kind of a cosmetic, it is worth paying attention to the place the product comes from, its expiration date, price, and manner of storing. Coconut oil is made of nuts growing in a coconut palm tree. The oil is obtained by pressing and warming up the flesh of coconuts. Basically, the product is available in two versions: refined and whitened. What is more, coconut oil has solid texture if not warmed up to 25°C. If stored in higher temperatures, its consistency becomes liquid. If solid, coconut oil has white colour. When warmed up, it becomes rather yellowish. Moreover, refined coconut oil does not have any scent at all. 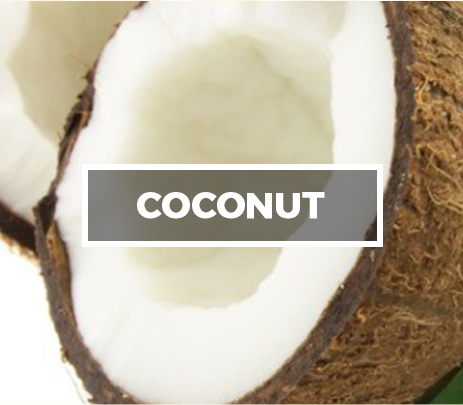 When it comes to the natural and pure coconut oil, it carries coconut flavours. Coconut oil can be applied regardless of its consistency (solid or liquid). The product can be scraped of with a knife. After that, the shreds can be added to a face mask, a shampoo, or a conditioner. What is more, its liquid version can be mixed with all washing, cleansing, and caring products. It is also advised to rub the product into hair ends at bedtime, set hair so it will not disturb your sleep (a loose plait or a bun on the tip of the head), and then wash the hair in the morning thoroughly. Coconut oil is able to take good care of hair by focusing on its ends especially. As one of the few, this oil has natural sun protection filters - SPF 10. Thanks to that, it shields strands against UVA and UVB radiation as well as agianst hot air. It is also worth pointing out, that coconut oil includes substances similar in composition to the proteins that build hair structures. Such similarity provides better and more efficient regeneration and strengthening as well as faster penetration of nourishing substances deep into hair roots. 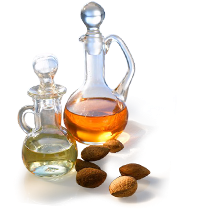 Almond oil is another very popular product that is able to help us with numerous health and beauty problems. The product has to be stored in a bottle made of dark glass and placed somewhere in a dry place. In short, almond oil is designed for all hair types care. 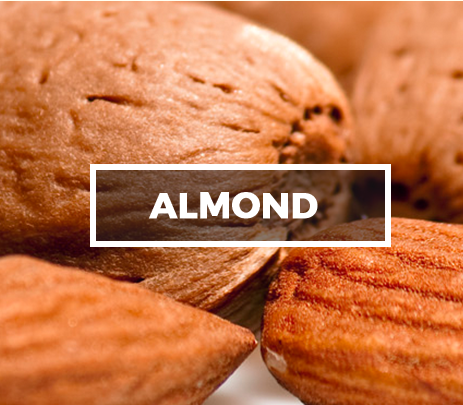 Almond oil is made of almond tree's nuts that grows in California, Spain, and France. It is worth being aware of the fact, that the almond oil should be used within six months from the date of opening. What is more, the product should not be heated up to 70°C or cooled down below -18°C. Almond oil has bright yellow colour as well as sweet and delicate flavour. The consistency of the product resembles dense syrup. Almond oil has to be put on damaged hair ends and scalp. Furthermore, it is often used as an ingredient for hair washing and caring products. Basically, almond oil can be applied on damp hair, right after washing. Such a procedure has two great advantages. The first one, almond oil facilitates combing hair. The second plus, this natural cosmetic is able to eliminate the problem of frizzy and dry hair. Moreover, it can also be used as a cosmetic that protects hair from the harmful working of hot air produced by hair styling devices. Almond oil is used as a hair strengthening, regenerating, and nourishing product. It also makes hair smooth and glossy. Furthermore, the product is used as one of the ingredients of homemade hair masks and spray conditioners. Another advantage of the almond oil to mention, it is perfect for healing super damaged hair and split ends. For that reason, the oil is recommended to all the girls who tend to style their hair fairly frequently (for example, perm, blow-drying, use of a flat iron, or a hair curler). Finally, almond oil may also be used as a hair mask facilitating hair combing. Shea Butter is categorized as saturated oil. It is popular because of its nourishing and caring features. It has plenty of applications in the field of cooking (especially in African countries) and cosmetology. Shea Butter should be stored in a tightly closed package, in a fridge, away from air and sunlight exposure. Cosmetic butters, including Shea Butter, are often enriched with artificial substances like fragrances and other additives. Shea Butter is made of vitellaria tree seeds. This plant grows in Africa and its nuts are picked up by hand. Right after pressing the nuts, Shea Butter's consistency becomes more cream-like. When warmed up to 33°C, it transforms into liquid/oil. 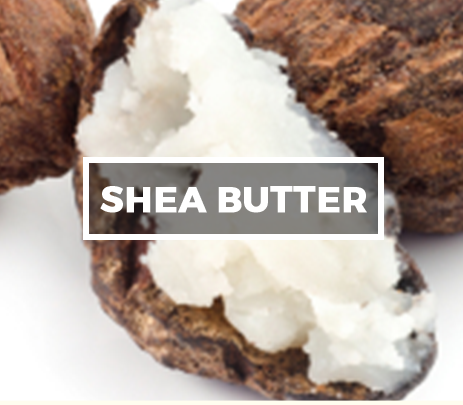 When fresh, Shea butter has got white shade and delicate taste. It does not produce any scent. Its colour changes into yellowish or brownish when warmed up. Before applying, Shea Butter has to be warmed up on palms of the hands. Thanks to that, the cosmetic becomes more elastic. 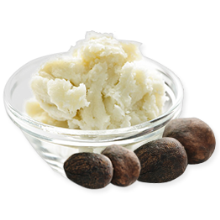 Shea Butter is a common component of homemade conditioners and hair masks. What is more, the product can be rubbed into hair ends or even into the strands, starting half way and working the way downwards. Definitely, Shea Butter has nourishing and moisturizing properties. If applied regularly (in a form of hair masks), the product is able to regenerate and make hair glossy. What is more, elasticity and smoothness is restored to all the strands. Shea Butter shields hair against solar radiation by creating a kind of a protecting barrier around every single hair. However, it is advised against applying too much of Shea butter on scalp because it may load hair (also known as 'flat hair' effect). Jojoba oil is used is cosmetology fairly often. The product, that has all nourishing substances and fulfills its basic functions, should be labeled as both unrefined and cold pressed. What is intriguing about this natural product, it does not have any expiration date. Jojoba oil is made of Simmondsia chinensis bush nuts that contain liquid wax - the basic ingredient of the oil. This plant is grown mainly in Spain, Africa, Asia, Australia, and New Zealand. The original locations where Simmondsia chinensis bush comes from are north Mexico and south part of the United States. It is worth pointing out that jojoba oil can become solid, especially when exposed to low temperatures. On the other hand, the product is highly resistant to heat. In general, jojoba oil has gold and yellow shade. It does not carry any scent therefore it is often used as a medium of perfumes. It is a good idea to add a few drops of the oil to hair washing and caring cosmetics. It is also advisable to prepare a jojoba oil spray hair conditioner and apply it regularly. Additionally, the oil in its pure form can be rubbed into hair ends and the parts that are extremely damaged or dry. 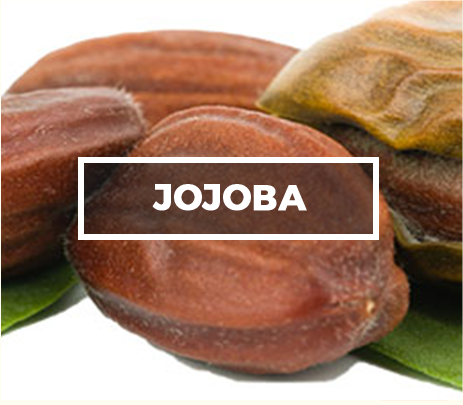 Jojoba oil has plenty of highly moisturizing and regenerating features. It helps to deal with dandruff and greasy hair since the oil contains anti-bacterial and anti-fungal features. What is more, the product can be used as an additive to homemade hair masks and conditioners. It is able to rebuild split ends, prevent hair from dehydration, and smooth the strands. Additionally, the cosmetic is recommended by dermatologist for eliminating scalp ailments. 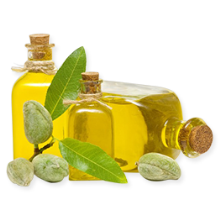 What is also interesting, jojoba oil protects both scalp and hair against UVA and UVB radiation. 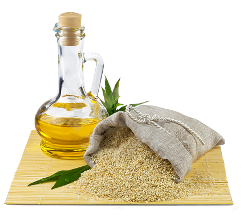 Definitely, linseed oil is considered as nutritional fat used for preparing healthy meals. But this is not all. Certainly, this kind of a natural cosmetic is also used for hair care. It keeps it freshness up to a month since opened. 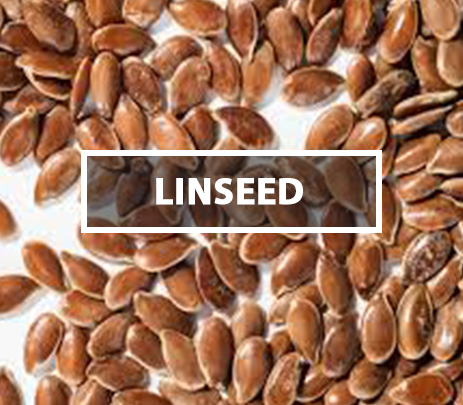 Linseed oil is obtained by cold pressing of flax seed. This plant and its properties were already known by ancient people that lived on the terrains of Near East, Greece, and Rome. It was used not only for cooking but also for beautifying purposes. In general, linseed oil should be stored in room temperature because it turns solid when cooled down below -20°C. Both flavour and scent of linseed oil are know to all the people who lead healthy lifestyle and take care of their beauty. When pressed, linseed oil gains yellowish colour as well as intensive and tang scent. Linseed oil has to be applied on hair at bedtime. In the morning, the hair has to be washed using a delicate shampoo and treated with a conditioner, which, obviously, should be rinsed as well. It is advised to repeat the procedure twice a week. In order to make the treatment more effective, the oil has to be reapplied for more or less three months. In fact, linseed oil can be added to one's favourite hair mask or a conditioner. When poured into a bottle with an atomizer and mixed with a hair care cosmetic, it may work as an enhanced hair mist. The truth is, linseed oil improves hair condition fairly significantly. What is more, it contains smoothing and nourishing features. Hair shafts do not only become closed again but also stay close to the hair cortex. Strands are no longer frizzy, dry as they stop electrifying. If used for oil hair treatment, this natural cosmetic improves condition of hair for long time. It is worth pointing out that linseed oil works anti-inflammatory and anti-fungal, therefore it can be perceived as an ally in fight against dandruff or other similar scalp ailments. It is important to realize though, linseed oil has dehydrating properties. Castor oil is a very popular product which can help us with majority problems connected with heath and beauty. It is both easily available and fairly cheap. In fact, it can be bought at every single pharmacy's. The cosmetic should be stored in a dark-glassed bottle and kept in a dry place. Basically, castor oil is recommended for all skin types care. 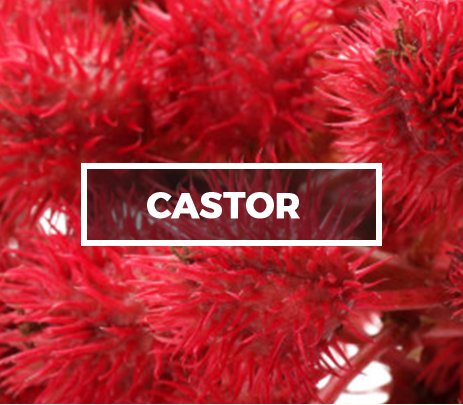 Castor oil is made of Ricinus communis seeds, a plant growing in Africa, South Europe, and Near East. It is worth remembering, Ricinus communis contains highly poisonous toxin. 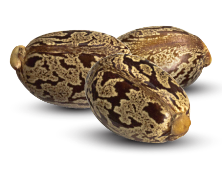 Fortunately, process of pressing eliminates all the dangerous substances out of the seeds. Castor oil has golden colour. It does carry neither scent nor taste. The consistency is rather dense. Castor oil has to be rubbed into either damaged hair ends or into scalp. The most popular method of hair care is preparing a homemade hair mask that is composed of ingredients found in a fridge or a bathroom. You can, for example, mix egg's yolk, a few drops of castor oil, and your favourite conditioner. This kind of a hair mask should be applied on hair, by working one's way from roots to ends. Next, hair has to be wrapped with a foil cap and a towel. The warmth that is produced due to this procedure accelerates penetration of nourishing substances included into the hair mask deep into hair. In general, castor oil can be applied also on eyebrows and eyelashes. Castor oil is used as a strengthening, regenerating, and nourishing product. What is more, it makes hair sleek and glossy. It is also used for homemade hair masks and spray conditioners. In extreme cases, it can irritate scalp, make hair dehydrated, and even may be the main reason of hair loss. What is more, castor oil is able to darken hair. Therefore, it is not recommended for people having fair hair. Because of zinc, the cosmetic may be helpful with fighting against dandruff. © The best hair oils for all hair porosity types.